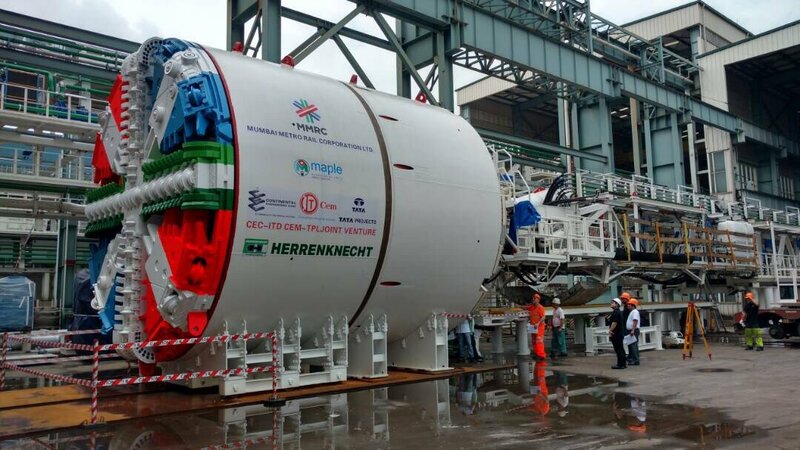 Mumbai: The MMRC (Mumbai Metro Rail Corporation) has received its first Tunnel Boring Machine (TBM) for the construction of the 33.5km long Colaba-Bandra-Seepz Metro-3 corridor. MMRC has procured the TBM, weighing around 800 tonnes, from the German firm Herrenknecht AG from its manufacturing facility in Guangzhou, China. This TBM is one of the three TBMs that would be used to construct 6.10 km long tunnels between Dharavi and Siddhivinayak stations with Shitla Devi and Dadar stations during October this year.